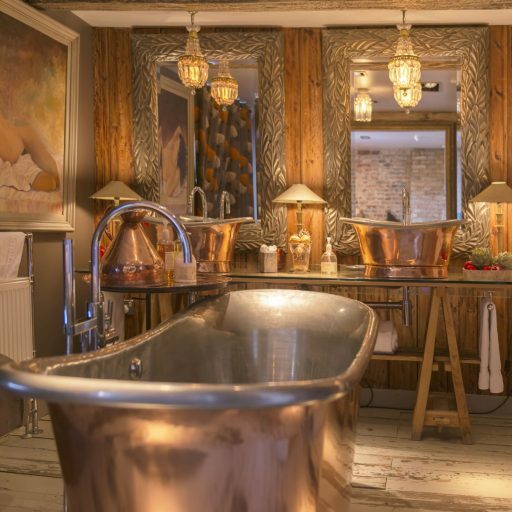 Dating back to the 16th century, this historic Inn nestles at the entrance to the stunning North Downs and the world renowned Pilgrim’s Way. 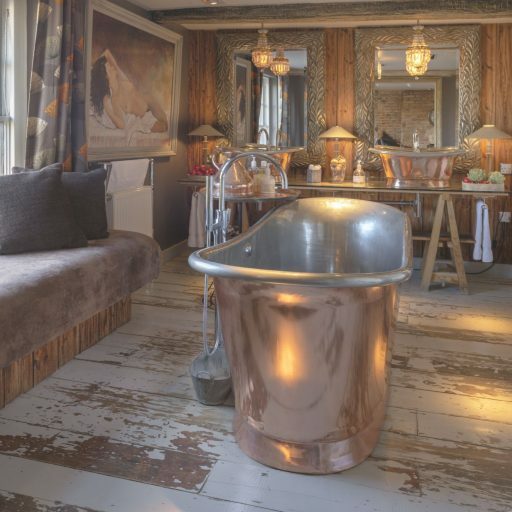 With four luxurious suites, the Five Bells Inn offers a true haven for ramblers and travellers alike searching for a touch of homely luxury within an intimate boutique setting. 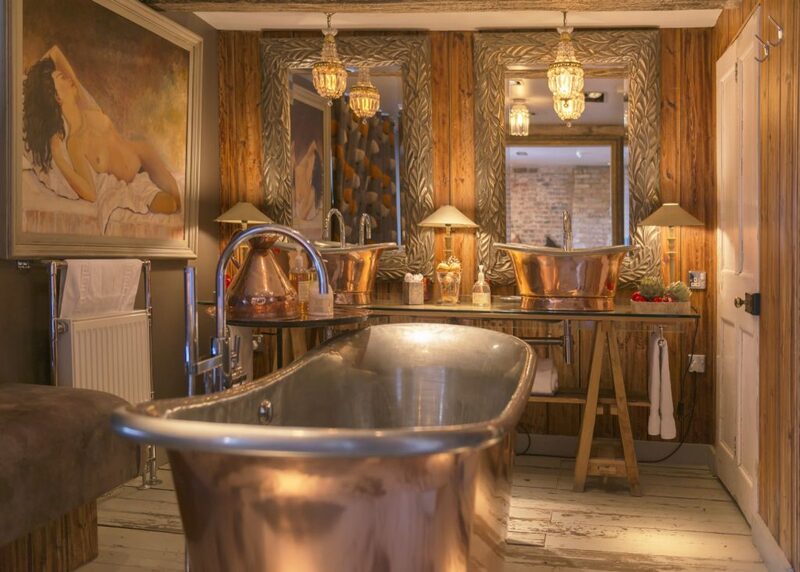 Featuring our handcrafted copper baths, opulent traditional interiors and fabulous local cuisine, the Five Bells Inn is a ramblers treasure. 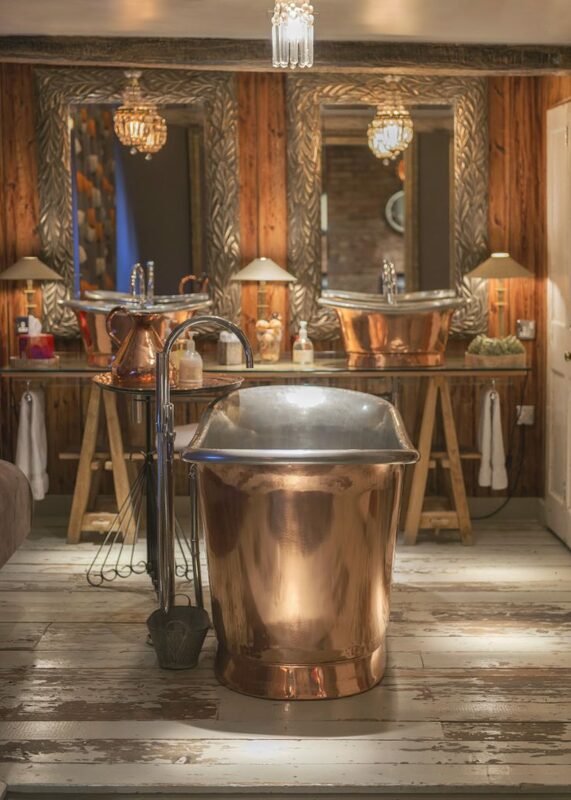 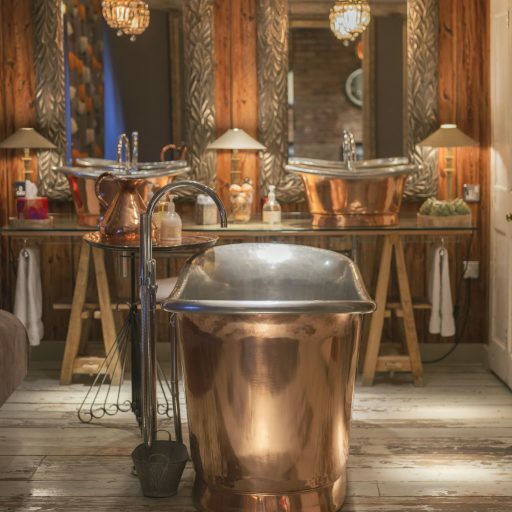 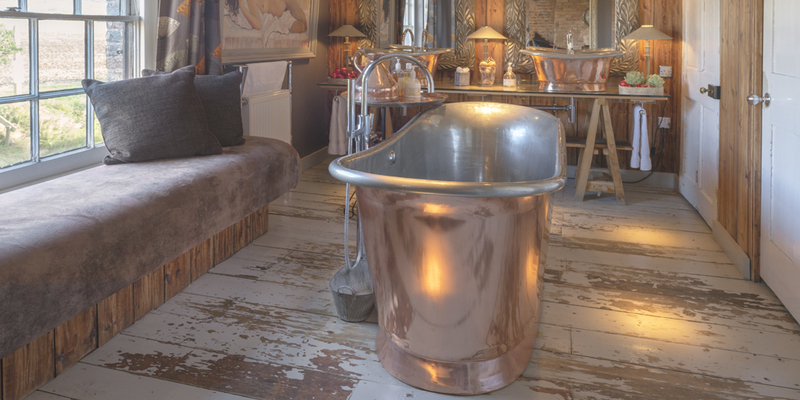 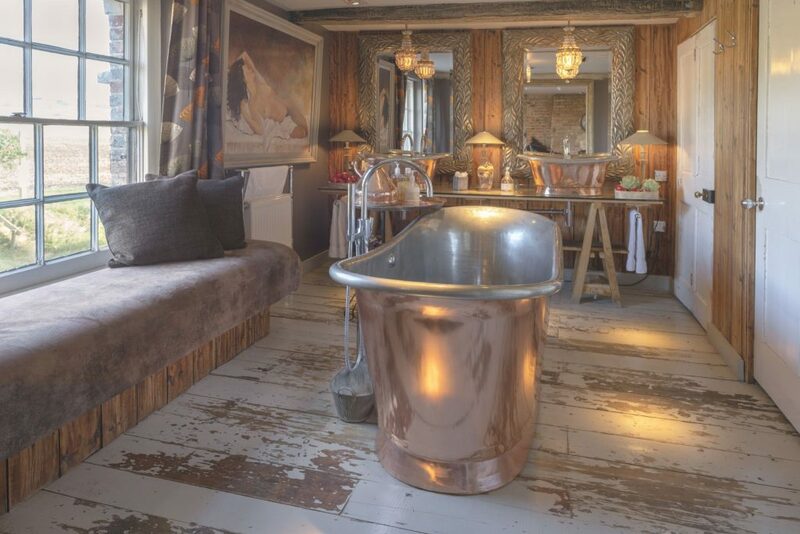 William Holland supplied the Copper Bateau bath with tin interior and a pair of Copper Bateau Basins with tin interior..